Apart from a healthy diet, regular physical activity is what Kareena Kapoor Khan abides by. We always wonder what makes these popular Bollywood celebrities super-fit and so slim. Well! This is not a mystery anymore. Celebrity nutritionist Rujuta Diwekar is a popular name in the Bollywood industry. Alia Bhatt, Varun Dhawan, Anupam Kher, Anil Ambani and Kareena Kapoor Khan are some of her clients. 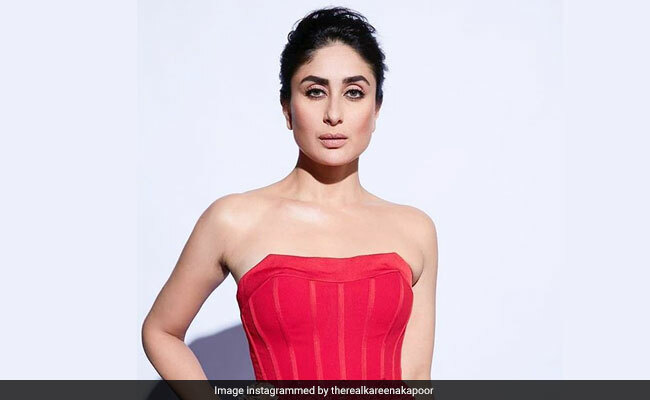 In her recent Instagram post, she shares some of the secret lifestyle tips which gorgeous actress Kareena Kapoor Khan follows. Do you want to know what they are? You will be surprised to know it's nothing out of the box and everyone can follow them. Here's a quick look at her diet and workout tips. Rujuta Diwekar's Instagram post said, "How to eat dal and chawal and look like a million bucks?" Some people think that healthy food is costly. But that is not the case. Even simple, traditional food is nutritious and beneficial for the overall health. Lentils and rice is one of the staple diet of India and is consumed in many households. Extremely nutritious and easy to prepare the meal can do wonders for your health. While dal and rice lack some of the essential amino acids, when consumed together, they make for a wholesome nourishing meal. In her previous posts, Rujuta has also stated the importance of adding ghee in our daily diet. In recent times, many people have started eliminating ghee from their diet thinking it would make them fat. However, this is not true at all. You should add ghee to your food as it will enhance the original taste of the food and make it all the more healthy. She further says, "No shortcuts, choose sustainability. No fads, just plain good food." Rujuta Diwekar has time and again emphasized on nutrition and health no matter what your age is. (Have a look at her Instagram videos). Rujuta Diwekar believes in eating local, seasonal, home cooked, simple and nourishing meals for overall health and well-being. One of the many things you can learn from Kareena Kapoor Khan is to eat local, seasonal. She shares a personal detail from Kareena Kapoor's fitness diary, which she follows on a daily basis "In one word, I would say priorities. She eats on time, works out, goes to work, and essentially makes time to enjoy the life that she has built for herself." Underlining the importance of seasonal foods in her post let us understand why it is is healthy for us. Seasonal food is the produce that is purchased and consumed at the time when it is harvested. You should eat them because it is fresh, tasty and nutritious as compared to the food consumed out of season. For instance, we all like to eat mangoes, melons and strawberries all year round, but the best time to eat them is when they are purchased directly from a local producer soon after they are being harvested. Seasonal fruits and vegetables produced on local farms tend to be fresher and healthier, as they do not require long distances for transport. Apart from a healthy diet, regular physical activity is what Kareena Kapoor Khan abides by. (Namrata Purohit - Pilates trainer, Instagram account is a testimony of this). Her videos trying different variations of Pilates have been viral on social media many times. Pilates is a full-body workout which offers many health benefits. Some benefits include enhanced flexibility, strong core, better posture and a flat stomach. Keep inspiring us gorgeous diva, Kareena Kapoor Khan!